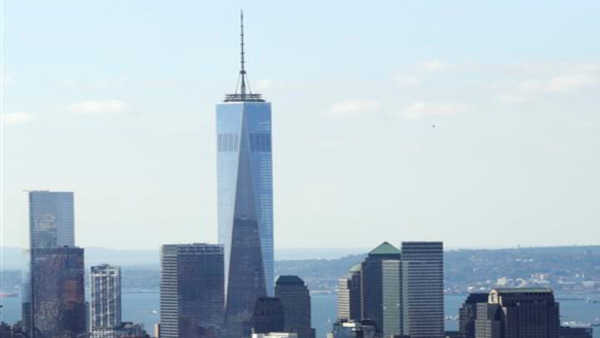 Despite being one of the most expensive construction projects in history, One World Trade Center, also known as the Freedom Tower, was constructed with many environmentally-friendly, cost-saving measures. Examples include extensive LED lighting, which is much more energy-efficient than traditional lighting methods, as well as a high reliance upon natural light. In terms of water usage, the building features 25,000 gallon storage tanks that collect rainwater to be used throughout the skyscraper. In 2009, the Empire State Building began a $20 million environmental retrofit. Improvements included refurbishing each of the building's 6514 windows and installing insulation behind all the radiators. The plan has turned the Empire State Building into a model for environmentally-friendly improvements, and similar programs have since been implemented in other buildings across the country. In 2012, Tishman Properties, owner of the Chrysler Building, concluded a 2 year improvement of the building's water, waste, and energy systems. These improvements allowed for water usage to be cut by 64%, 81% of garbage to be recycled, and a 21% reduction in energy usage. Since the plan's implementation, the Chrysler Building has received a gold certification from the Leadership in Energy and Environmental Design. Yankee Stadium has initiated many positive environmental measures. These measures include lighting fixtures that consume roughly 300 watts less than an average stadium's lighting fixtures and environmentally-friendly plumbing. This results in a 207,000 pound reduction of CO2 emissions per nighttime game and a reduction of over 3 million gallons of water annually.